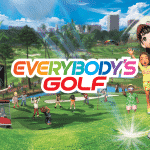 Everybody’s Golf is a sometimes arcadey and sometimes simulation experience all wrapped up nicely in a fun, cartoony, and fast paced game of golf. The game really excels in the graphics department. 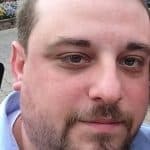 Offering the option of 4K visuals and HDR. Or you can opt for the steady 60-frames-per-second mode. Either way, the game is beautiful. The colors pop and the courses look great. You have the choice of playing rounds in the morning, afternoon, and dusk. There is also rain and wind you have to contend with. Morning and dusk especially look nice in HDR. I would definitely suggest taking advantage of HDR is your TV is capable. The art style gives off an old Mario Golf feeling. Character customization is also well done. You have the ability to customize basically everything about your player. From their clothes, down to the shape of their facial features. And in gameplay you have the opportunity to win other players outfits to keep your wardrobe ever expanding. Presentation is well done if you don’t mind a lot of over the top on screen graphics and sounds. Being an arcade version of golf you have your standard on-screen graphical effects such as flames shooting out of the impact of the club to ball on tee shots, and colorful banners popping up that let you know if you hit a good shot. But I do have to say the girl who yells “cool” after almost every shot is a bit annoying. The gameplay is suited for both players who just want to sit back and smash the ball with no real consequences, unless you are horribly off the mark on the fantastic three-click shot system, or you can turn the the game to “Serious Mode” for a more simulation-like golfing experience. And I have to say, I found that mode to be very challenging and realistic. Striking that kind of balance in a golf game is something special. The leveling system is very well done. You basically level up both your character and your clubs based on how you play. This means as you level up your 1W club’s attributes you will earn more power, backspin, and control. As you level up your character you can earn coins, outfits, and even unlock the ability to ride around courses in golf carts and also hit the pond for some fishing. The game is somewhat open-world. Basically in the respect that you can move around the “Home’ area freely and choose what you want to do next. This includes jumping into tournaments, solo stroke play, or verses battles. This is also where you can jump into online modes like Turf War. Turf War basically matches two teams in a sort of free-for-all game based on points and how many holes you win. Although it was hard to find enough players to fill both teams, functionality wise, the game played smooth and lag free online. 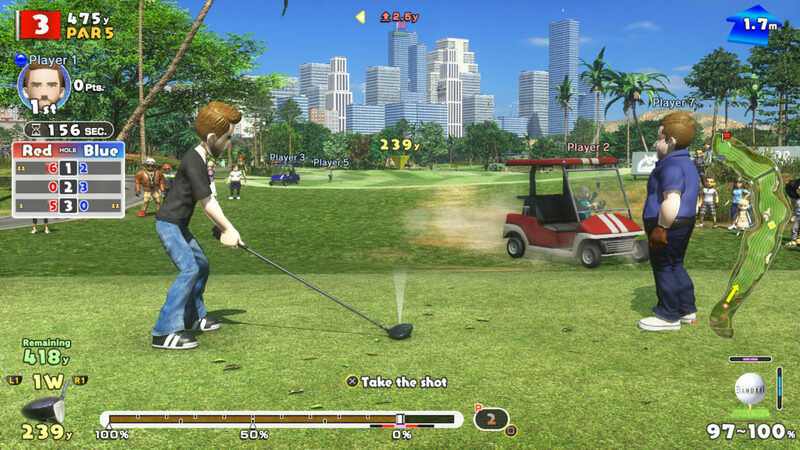 Catering to both the casual and simulation golfer, Everybody’s Golf strikes a nice balance of fun and challenge. There are plenty of things to keep you busy and the game is especially fun in couch co-op with friends. 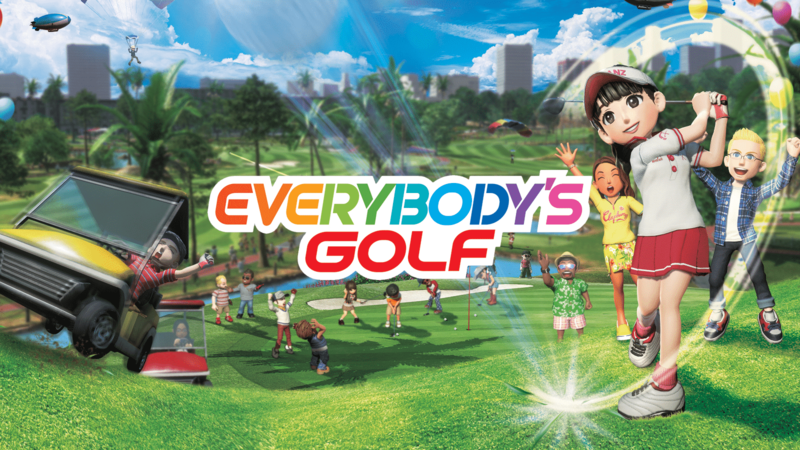 If you don’t mind the arcade graphics and presentation, Everybody’s Golf is sure to bring hours of fun and is a worthy successor to Hot Shots in every way.